Parts 1 and 2 of this series explored such concepts as how the market feels like a game (in this environment, the game is Jenga) and how certain Investing Personality (IP) traits affect people’s ability to participate therein. 1) We have experienced perhaps the worst natural disaster in decades with Hurricane Harvey and another monster hurricane is approaching. 2) We watched a sociopath lob an ICBM over the nation of Japan and then explode a hydrogen bomb for good measure. And over that time, The Market has responded like my kids do when I tell them it is time to brush their teeth – by doing nothing. (Note: Are we seeing the first sign of the market doing "something"? DJIA down more than 1% so far this AM). In fact, this is the longest stretch of time without a 5% pullback in 20 years. Not only has the Tower not collapsed, it’s barely lost a brick. As the tower climbs, the potential emotional energy builds with it. Investors are primed to overreact. How do you work with your clients – especially your most emotional clients – to help them discharge that energy while minimizing the shock? The answers may be found in the popular TV series, Game of Thrones. 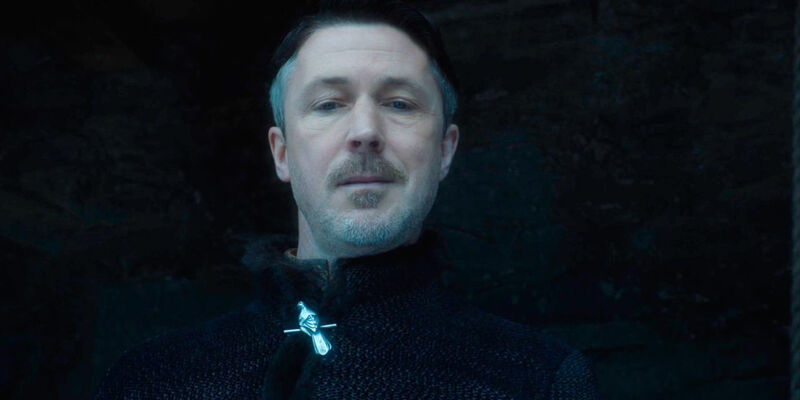 On the show there is a character called Petyr Baelish – known to all as “Littlefinger”. In a world where players drop like narcoleptic flies in a DDT factory, Littlefinger has shown a remarkable ability not to merely survive but to consistently improve his position. Though his goal was to accumulate power, not wealth, investors can learn from his wisdom and uncanny gamesmanship. Below is the first of three quotations by Littlefinger, each with a corresponding lesson for investors in this (or any) investing environment. This may sound like an impossible task, especially in finance where the same dollar can’t be invested in two places at the same time. But remember, we are not talking about managing money. We are talking about managing emotions. The wisdom holds. There is much to take from this philosophy. For one thing it is a clear endorsement of diversification. But the biggest key is the last sentence - ‘whatever happens will be something you’ve seen for’. The emotional value of foresight – such a simple concept – is remarkably underutilized. Moreover, anticipation increases one’s sense of control. Is it the oft-cited “illusion of control”? Who cares? Not your brain. It doesn't know the difference. And feeling in control is critical to managing anxiety. When you can say, “I saw this coming” you are in a much better emotional position to deal with what comes. Take the time to communicate with the clients who need it most (e.g., emotionally sensitive, spontaneous profile clients who have higher anxiety and panic propensities per the Investor Personality Assessment). Now is the time to do it, before the Market looks like Tokyo during a Godzilla attack. Coming Soon: Quote/Lesson Number Two from Littlefinger.